The Microsoft operating systems have a large amount of configuration options that are hidden for the majority of users. If we modify these options properly it is possible to optimize how the computer works and modify the system's general appearance. Fresh UI is a simple application from which to personalize the Windows user interface and optimize the configuration of both the rest of applications, as well as that of the devices that are connected. - Options to manipulate Windows Registry. - Configuration of some functions of the Task Manager. 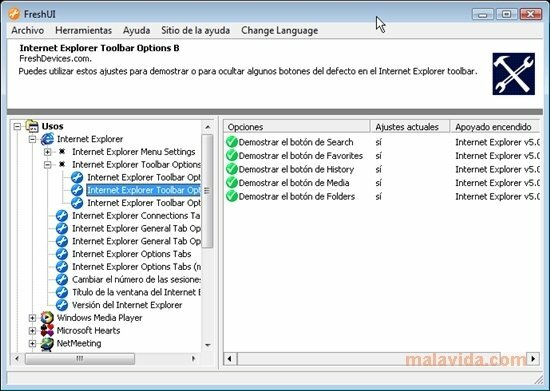 - Tweak the setting of Windows Explorer. To enjoy a renovated and fresh user interface, at the same time that you optimize how your computer works, try Fresh UI. Some functions may not work.